'Let Me Lie will keep you guessing until the very last line. No one writes a twist like Clare Mackintosh' Paula Hawkins 'Brilliantly clever . 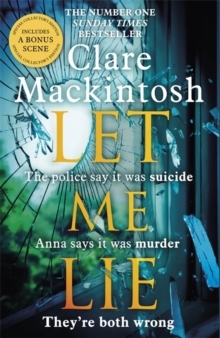 . . Let Me Lie is a work of genius' Joanna Cannon 'I LOVED it. 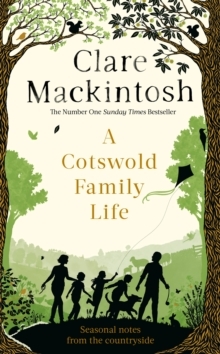 I think this is Clare Mackintosh's best yet. An engaging, engrossing read' Marian Keyes -------------------------------- The police say it was suicide. Anna says it was murder. They're both wrong. One year ago, Caroline Johnson chose to end her life brutally: a shocking suicide planned to match that of her husband just months before. Sometimes it's safer to let things lie . . . 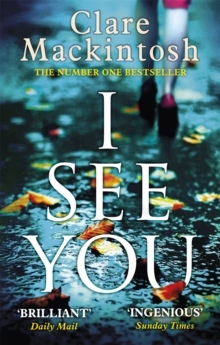 The stunning, twisty new psychological thriller from number one bestseller Clare Mackintosh, author of I LET YOU GO and I SEE YOU. 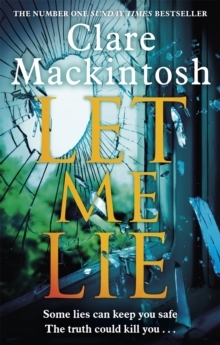 What everyone is saying about Let Me Lie: 'Another one-more-chapter, stay-up-late sensation from Clare Mackintosh. 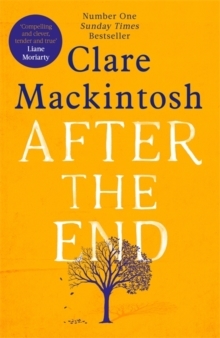 No doubt about it now - she's a major talent' LEE CHILD 'Clare Mackintosh does it again. A brilliantly twisting tale of toxic families' ERIN KELLY 'It's phenomenal, super-twisty and, incredibly, EVEN BETTER than I Let You Go and I See You' JILL MANSELL 'Brilliant. Tense and surprising but heartbreaking and sensitively written . . . I expect no less from Clare but she seems to get better with each novel' GILLIAN McALLISTER 'One word - wow! Compelling, twisty and wickedly good, I loved it!' ALICE FEENEY 'Fantastically twisty, utterly gripping and kept me guessing until the very end' LUCY DIAMOND 'Shocking, dark and brilliant, I loved it!' SAM HEPBURN 'So very clever. Totally absorbing and original' SABINE DURRANT 'Clare Mackintosh has nailed it again.